Home > Why did Search & Destroy fail in Vietnam? How successful were the tactics search and destroy? Were Search & Destroy missions effective? Search and Destroy or Seek and Destroy (S&D) was an integral part of General William Westmoreland’s strategy to destroy the Viet Cong during the Vietnam War. Westmoreland was convinced that attrition warfare, which required wearing down the Viet Cong’s personnel and materiel until they lost either the capacity to continue their military effort or their will to fight, with Search and Destroy as its key tactic, was ideally suited to fight against the Viet Cong and North Vietnamese Army. However, Search and Destroy strategy, despite the help of superior American firepower and mobility, cost the lives of thousands of American servicemen without making any clear impact on the conflict. Search and Destroy strategy had many flaws. First, there was no distinction between “Search and Destroy” and “Clear and Hold” missions. 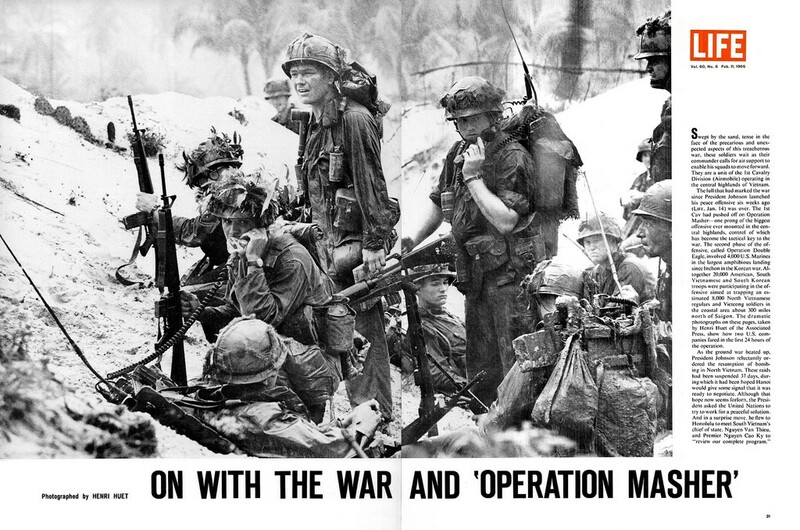 As the war became more and more aggressive particularly after the Tet Offensive, so did the missions. That continued to the point where “clear and hold” missions, which were less brutal, eventually turned into a maniacal form of tactic just as “search and destroy” missions were. Second, during each Search and Destroy mission, U.S. patrols were required to search South Vietnamese homes for the Viet Cong – Charlie, which exposed themselves to ambush. That, as a consequence, led to many atrocities such as zippo raids to burn down villages and unprovoked massacres such as the infamous My Lai in 1968. Those made the jobs of winning hearts & minds of local people become harder and harder if not impossible. Moreover, as there was no distinction between the two strategies, pacification was never fully established. As a result, the Viet Cong was able to gain more control in many Southern areas as well as receive more unconditional support from South Vietnamese peasants who could provide them personnel, food and hiding places. Now American troops got stuck in a vicious circle where the more aggressive they became, the more Vietnamese people turned against them and the less effective their missions were. The Viet Cong might be pushed out of certain territories initially, but as soon as American patrols left the areas, they would return with even more reinforcements and weapons. Last but not least, U.S. generals & war planners had made an erroneous assumption about North Vietnamese people’s determination at the first place. 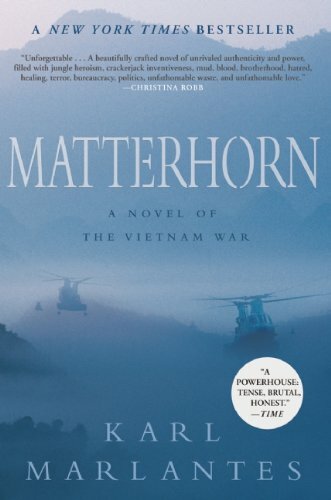 General Westmoreland believed that attrition warfare alone would conquer the Viet Cong & North Vietnamese Army (NVA). However, Hanoi once again taught Americans the lesson they had taught the French more than a decade ago that North Vietnamese people would fight to the final victory even if they had to suffer more than ten times the enemy’s loss as in Ho Chi Minh’s words. For North Vietnam, the end justified the means. Although immense numbers of Viet Cong and NVA troops would be killed or captured, they would be soon replaced and even grown faster. The U.S., on the other hand, was unable to absorb such huge human losses under enormous pressure of the anti-war movement across the country. Eventually, the U.S. had to sign the Paris Peace Accords and left their ally alone in an unequal war against North Vietnam. The effectiveness of the Search and Destroy missions were also dubious. “Body count” was used as a measuring tool to determine the success of each Search and Destroy mission as well as the whole strategy in general. 1,106 North Vietnamese soldiers were reported killed in the very first search and destroy operation – Operation Attleboro while Operation Cedar Fall – a major assault on the Iron Triangle, resulted in 720-enemy killed and 213 captured. However, those figures were usually obtained and gathered through indirect means such as sightings of secondary explosions, sensor readings, extrapolation, inference or reports of POWs. Hence, they usually flattered to deceive. In fact, these figures created a general over-optimism among U.S. commanders and policy makers & were usually used as a propaganda to convince American people of their success in Vietnam who eventually turned against them after the surprising and bloody Tet Offensive. Besides, even in Operation Junction City – American only airborne operation and one of its largest operations in the conflict, American forces also failed to destroy Viet Cong’s headquarter nor capture any high-ranking NFL officers although they did inflict heavy casualties on the enemy. Junction City, therefore, had little impact on Hanoi’s insurgency plan in South Vietnam. Department of Defense officials believed that these body count figures need to be deflated by 30 percent as roughly one-third of the reported enemy killed might have been civilians. “Search and Destroy” strategy could be seen as ineffective as it made a low impact on undercutting guerrilla tactics successfully utilized by the Viet Cong. In fact, Attrition strategy in general and Zippo missions, together with the “Operation Rolling Thunder” bombing campaigns, in particular failed to achieve its desirable goals that could lead to a turning point in the war. 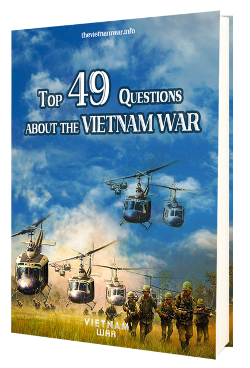 Previous Post: What were major Battles of the Vietnam War? Next Post: How Much Did The Vietnam War Cost?